I want to jump straight into my excitement for blood orange season but first I feel like I really need to address the absence. First blog post of 2018 and it’s now February. Eeeep! I’m a terrible blogger. January is hard though, isn’t it? Everything after Christmas feels like a bit of a slog for me. I didn’t want to churn out a post in that mentality. Or even just post something for the sake of it. Without speaking too soon, the January blues seem to have subsided now, for the most part, anyway. 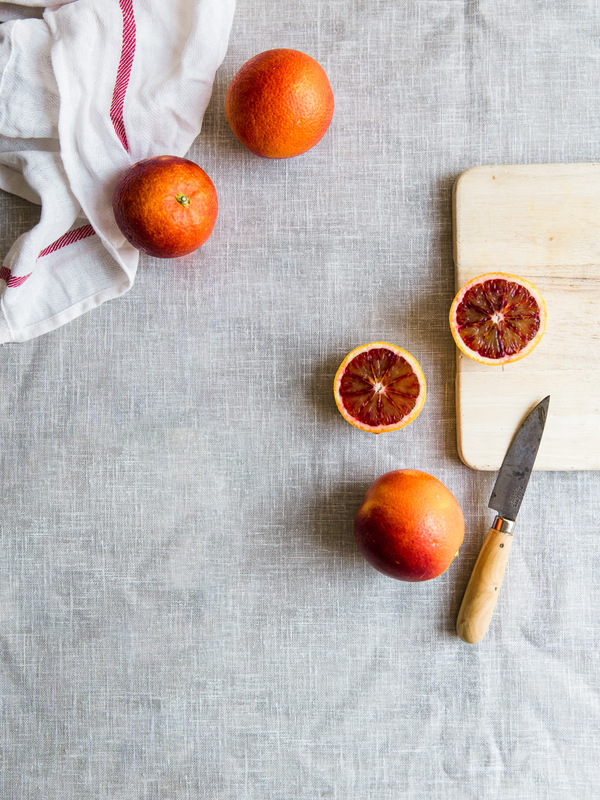 So, blood orange season! Their seasonal time span is short, I suggest making the most of these beauties while they’re around. I’ve been enjoying cooking with them in a few different ways, salads are a good example, like this beetroot and mackerel dish I shared on Instagram recently. These winter varieties of orange are especially tangy and juicy, try to get your hands on some before the season ends in March. Choosing the perfect blood orange is a bit of a random roulette, there’s no way of knowing just how ‘blood’ orange they will be on the inside. I found some deep, deep red skinned ones thinking they would unveil a crimson jewel colour when I cut into them. I thought aha! You will be the bloodiest of them all! Turns out, the best were, in fact, some rather normal orange looking variety. Unless you are obsessing over them for photo opportunities, any you manage to get a hold of will be utterly delicious. I wanted to go sweet with my blood orange recipe. Although, this is the kind of food I am reluctant to even call a recipe, more of an assembling of ingredients. 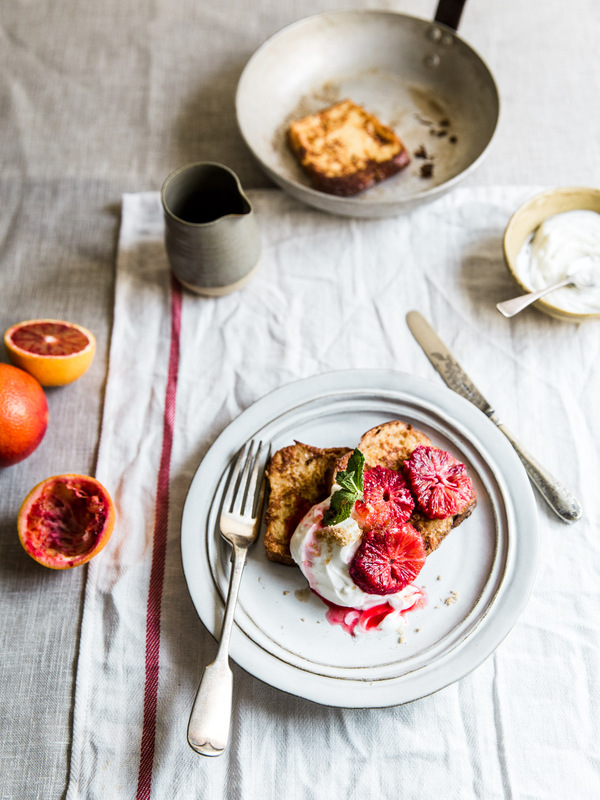 But I think it brings as much joy as any other so I wanted to share with you this quick and seasonal breakfast! 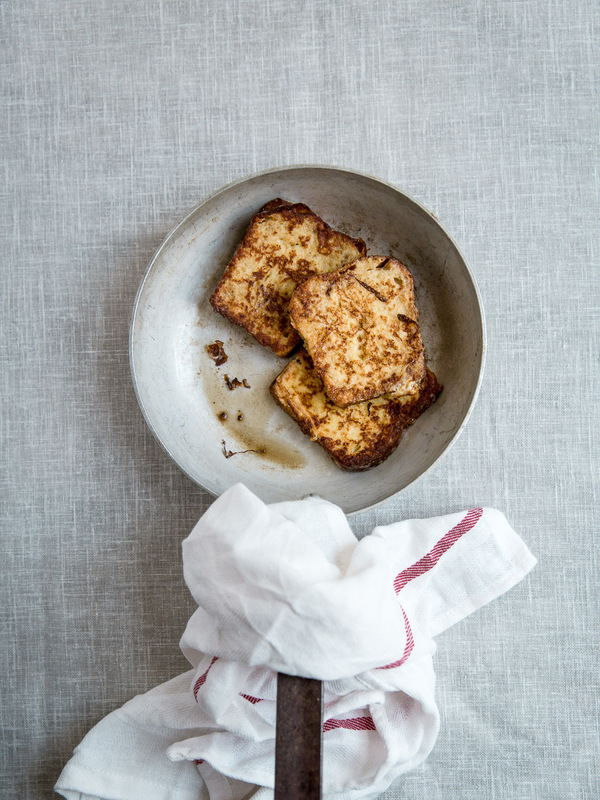 Mix together the egg, milk, vanilla extract and cinnamon until the egg is beaten. Dip the bread slices into the egg mix until they have absorbed as much as possible. Fry the slices in a little butter until golden brown on both sides. 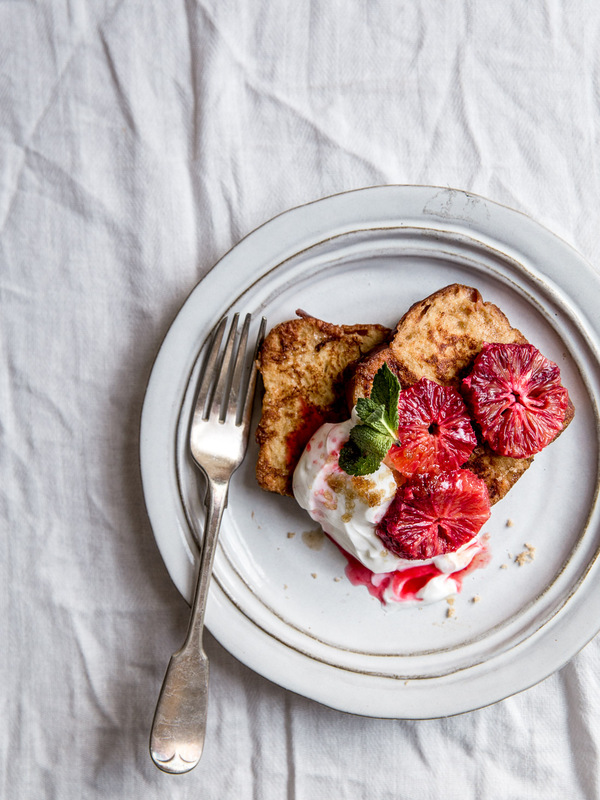 Serve with greek yoghurt, slices and the juice of blood orange, with a little sprinkling of brown sugar.